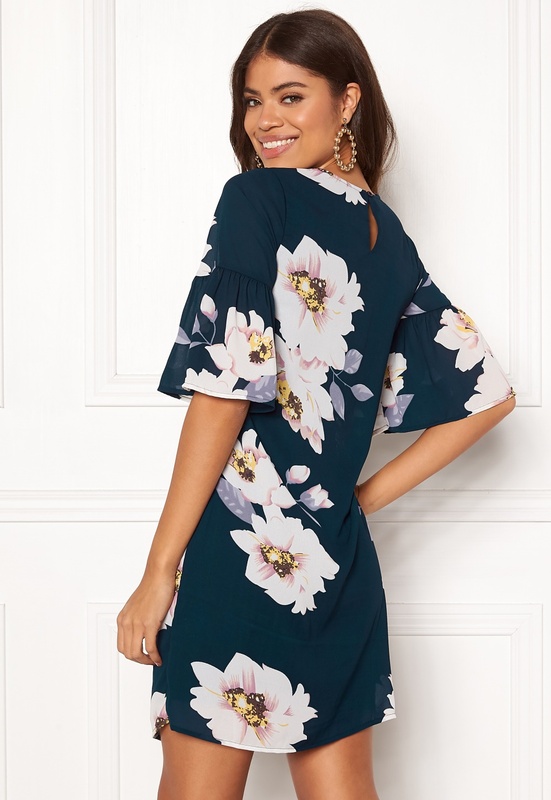 Stylish, straight-cut dress from HAPPY HOLLY. 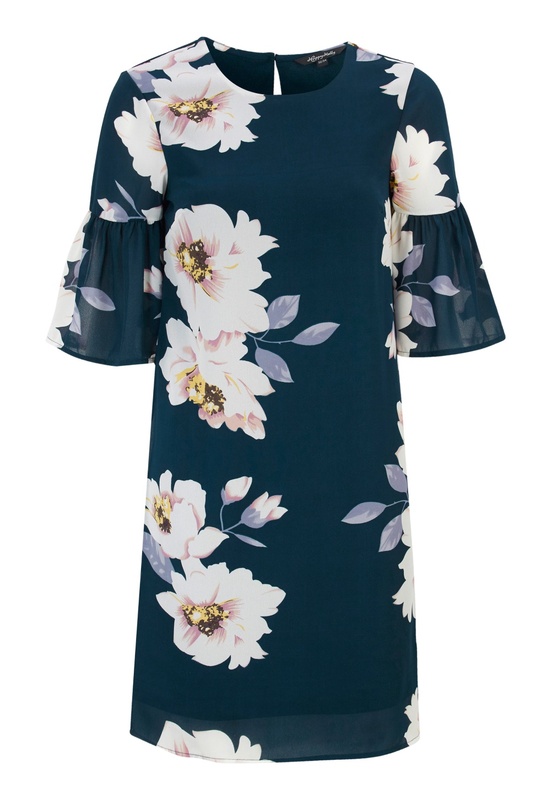 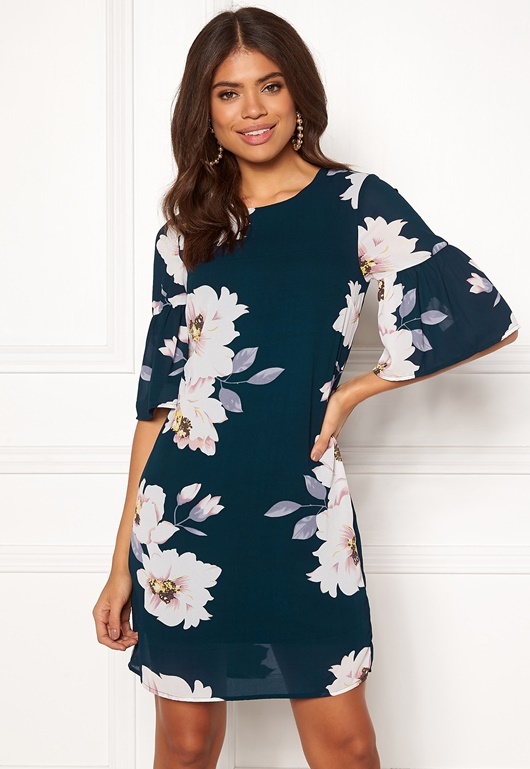 The dress has a beautiful floral print and draped ruffle sleeves. Length from shoulder: 92 cm, bust 92 cm in size 36/38.